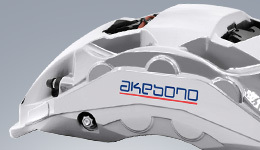 Business and Other Risks | Management Policy | Investor Relations | Akebono Brake Industry Co., Ltd. The Akebono Group considers that the following matters may have significant effects on its operations, and therefore pays attention to them when conducting business. To expand its business through true globalization, the Akebono Group predicts future needs and invests considerable management resources in technological innovation and new product research and development. However, its business, performance, and financial condition may be negatively affected if it cannot develop new technologies and products in line with customer needs on a timely basis. (6) Occurrence of large-scale natural disasters and infectious diseases. To meet customer needs (e.g., creation of global platform vehicle applications), the Akebono Group considers it necessary to achieve globally uniform "Monozukuri" (manufacturing excellence). Therefore the Akebono Group has actively invested in production engineering research and development, and facilities (including IoT), aiming to further improve safety, quality, and efficiency, and to reduce costs. However, if these objectives cannot be effectively met in a timely manner or if the Group's strategies are not implemented in line with market needs, it may lose business opportunities without recovering its investment. As a result, its business, performance, and financial condition may be negatively affected. The Akebono Group has set up the Information Security Committee and striven to carry out information management to ensure information security and to protect personal information (e.g., prevention of information leaks) using hardware and software (regulatory compliance/educational activities). However, if confidential or personal information leaks from the Akebono Group, its performance and financial condition may be negatively affected due to damage to credibility. In addition, almost all business operations of the Akebono Group have been supported by its information system, which has become more complex and sophisticated year by year. Therefore, if the system malfunctions or goes down due to the occurrence of an unexpected disaster, cyber attack, or other reasons, it will become difficult to continuously carry out ordinary business operations depending on the type and level of disaster, etc. As a result, the Akebono Group's business, performance, and financial condition may be negatively affected. Considering that quality is the most important thing to underpin safety and security, the Akebono Group always aims to build a more advanced quality assurance system. By ensuring quality assurance in production processes and pursuing other activities (e.g., learn from, and avoid repeating, previous mistakes), the Akebono Group makes the utmost effort to produce products. However, as the Akebono Group's products are directly related to safety, its business, performance, and financial condition may be negatively affected if defective products, etc. are found and distributed to customers, incurring significant costs and causing a decline in social credibility. The Akebono Group considers that associates are the foundation of its management and that it is important to hire associates who are well versed in highly specialized technology or have excellent management skills, and to prepare a plan to cultivate associates who can pass on anti-aging technology so that its competitiveness can be continuously maintained and improved. Particularly in recent years, it is urgently necessary to cultivate and retain associates who can successfully take action in these circumstances while further pursuing global business activities. Therefore, the Akebono Group has implemented various measures (e.g. 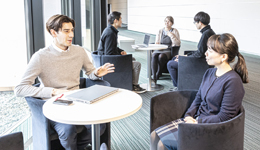 active recruitment activities in Japan and overseas, adequate training and education, and preventing core associates from leaving the Group). If the Akebono Group cannot cultivate or retain associates, or assign jobs to associates appropriately in accordance with its plan despite these measures, its long-term business, performance, and financial condition may be negatively affected. The Akebono Group's operating revenue is affected by the economic conditions of countries or regions where its products are produced and/or sold. In other words, recessions in the Akebono Group's main markets including Japan, North America, Europe and Asia, and unexpectedly shrinking demand caused by recessionary conditions may affect the Akebono Group's performance and financial condition negatively. In addition, as OEM products account for a large portion of the Akebono Group's operating revenue, poor performance of auto makers and Tier 1 makers (Tier 1 suppliers for auto makers), unexpected contract termination, price reduction, and purchasing policy changes may have a significant effect on the Akebono Group's business, performance and financial condition. Furthermore, any significant changes in product prices or sales volume caused by stiffer competition with domestic and overseas competitors or other factors may affect the Akebono Group's business, performance, and financial condition. 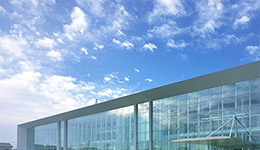 Considering that handling environmental problems from the standpoint of global environmental conservation is an important social responsibility of companies, the Akebono Group has established the Global Environment Committee, developed environmentally friendly products, and implemented various environmental measures including CO2 emission reduction. 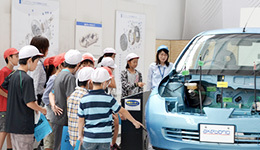 In addition, as environmental regulations and auto safety regulations in countries where the Akebono Group conducts its business are being strengthened, it is forecast that investments made with the intention of resolving technological issues in compliance with these regulations will increase. If it is difficult to comply with environmental or safety regulations, the Akebono Group's social credibility is anticipated to be ruined. In this case, the Akebono Group's business, performance and financial condition may be negatively affected. Regarding the problems of asbestos that the Akebono Group previously used as a raw material, it has internally set up a special committee, and actively conducted various measures including health examinations for associates and neighboring residents and the provision of consultation services. However, if litigation is filed and relevant cost burdens rise in relation to products containing asbestos, the Akebono Group's business, performance, and financial condition may be negatively affected. 9) Risks related to disasters, etc. The Akebono Group has established many business facilities in Japan and overseas. To prepare for situations that force operational shutdowns (e.g., natural disasters including earthquakes, typhoons and floods, and epidemics including new strains of increasingly dangerous influenza), each facility has implemented various measures (e.g., ensuring associate safety, prevention of disaster occurrence, early restoration, seismic strengthening of buildings, prevention of equipment from overturning, preparation of a business continuity plan (BCP), preparation of a crisis management manual, and conducting emergency drills). However, in certain situations (e.g., unexpected levels of disasters leading to production suspension, including collapses and damage of buildings and facilities, shutdowns of lifeline services, transportation routes and information infrastructure, and material effects on human resources), part or all of the Akebono Group's business activities may be significantly impeded. In addition, considerable costs incurred for the repairs of damaged buildings, facilities, etc., delayed product supply to customers, or other situations may have a negative effect on the Akebono Group's business, performance and financial condition. The Akebono Group has implemented the Akebono Global Code of Conduct, Akebono Global Behavior Standards, Compliance Rules, etc., and conducted compliance activities including the holding of regular Compliance Committee meetings. Various measures (e.g., compliance tests, interviews, and various training programs covering the Subcontract Act and the prevention of insider transactions) are conducted to enhance employees' compliance awareness in line with the annual activity plan approved by the Compliance Committee. In addition, compliance e-learning programs have been introduced globally. Consultation requests made to internal and external consultation service counters are handled appropriately based on investigations that are made whenever necessary. The status of compliance activities and the contents of consultation requests made to consultation service counters are regularly reported to the Board of Directors. However, there is no guarantee that objectives are completely achieved through these measures. If any compliance problems including legal violations committed by individual directors or associates occur, the Akebono Group's business, performance and financial condition may be negatively affected. The Akebono Group has technology and know-how that can be differentiated from competitors' products. As technology and know-how are indispensable to the Akebono Group's future development, best possible efforts have been made for the protection of intellectual property rights. However, such protection may be inadequate or limited in certain regions. Therefore, the Akebono Group may not be able to prevent third parties from producing similar products using its intellectual property without its consent. In this case, the Akebono Group will incur damage. Regarding intellectual property rights, litigation may be filed by any third party against the Akebono Group, or the Akebono Group may file litigation to exercise its intellectual property rights. In such case, substantial litigation costs may be incurred, or a third party's claim filed against the Akebono Group regarding the infringement of intellectual property rights may be approved. As a result, the Akebono Group may not be able to use certain technologies or be held liable for a large amount of damages. If this kind of serious dispute occurs in relation to intellectual property rights, the Akebono Group's business, performance, and financial condition may be negatively affected. 12) Risks related to the purchasing of raw materials, etc. The Akebono Group purchases raw materials, steel materials, parts, etc. from a number of external suppliers. Regarding some of these materials, etc., the Akebono Group may face rising production costs and production delays or shutdowns due to various factors (e.g., sharp price rises or product shortages caused by changes in market conditions, delivery delays resulting from dependence on a specific supplier with inadequate manufacturing capacity, defective products produced by suppliers, worsened management conditions, unexpected accidents, and natural disasters). As a result, the Akebono Group's business, performance, and financial condition may be negatively affected. 13) Risks associated with fluctuations in exchange rates, interest rates, etc. The Akebono Group's business transactions include the import of raw materials and parts and the export of products, etc. in each region. In addition, some of the Akebono Group's assets and liabilities are denominated in foreign currencies. To minimize foreign exchange risk, the Akebono Group conducts hedging by making forward exchange contracts or adjustments so that the amounts of assets and liabilities are the same for each currency. However, as it is difficult to hedge all risks, relevant fluctuations may exert effects on the Akebono Group's performance and financial condition. 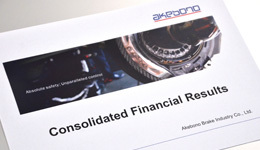 Financial statements of Akebono's overseas affiliates are prepared in local currency but translated into yen when the Akebono Group prepares its consolidated financial statements. Therefore, even if local currency amounts do not change, consolidated financial statement amounts may be affected by the exchange rates used for foreign currency exchange. In addition, fluctuations in interest rates and securities markets may affect the Akebono Group's performance and financial condition. In FY2015, the Akebono Group suffered operating losses from its North American operations due to problems in production that continued from FY2014 (two consecutive years of losses), and also incurred a significant amount of impairment losses. As a result, its consolidated financial results worsened. Its current liquidity and capital ratio have not yet recovered. In addition, there are still situations or conditions that may create important doubts about going concern assumptions. To resolve and improve these important events, etc., the Akebono Group has maintained close relationships with its main and other banks, made agreements with them to receive their continuous support, and obtained necessary long-term financing as described in "3. Management Analysis of Financial Condition, Operating Results and Cash Flow, (5) Measures to Solve Important Events, etc. Described in Business and Other Risks" of the Securities Report for the 122nd Term. Considering this situation, the Akebono Group concludes that there are no "significant uncertainties about going concern assumptions". The future matters described above are the Akebono Group's judgments made on June 18, 2018, which is the date of submission of the Securities Report for the 122nd Term.